On this day, 14 years ago, America was rocked by one of the worst acts of terrorism in recorded history. In the aftermath of the attacks on the World Trade Center Towers in 2001, we came together as a nation like never before. People from all over the country converged on New York City to search for survivors, and in their efforts, an unsung hero emerged: more than 300 search and rescue dogs. With so much loss and devastation, these dogs provided hope for the rescuers and saved many lives. 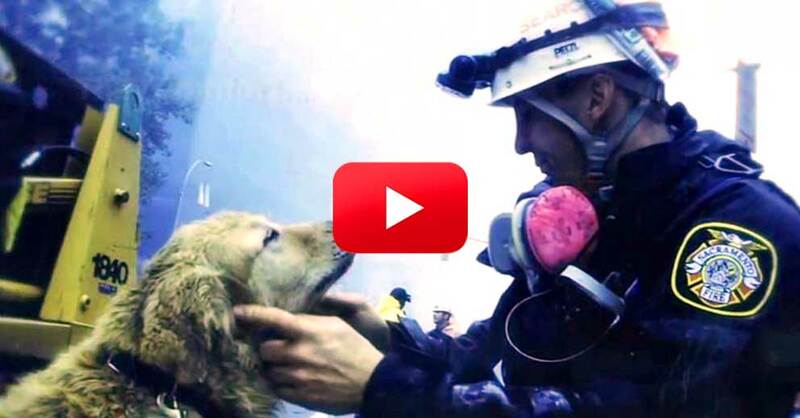 This touching tribute to the tireless efforts of these canine heroes was put together by the fine people over at thedogfiles.com, and shows just how hard these animals worked to find survivors in the rubble of the collapsed buildings. As we remember all those we lost today, please take a minute to appreciate all that these incredible dogs did for the survivors of the 9/11 attacks. Their efforts should never be forgotten.